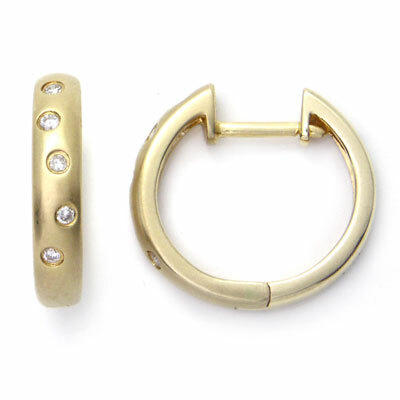 Hoop earrings are the easiest way to be stylish because they always look trendy all the time. If you don’t have plenty of time to get dressed, you could just grab an outfit and put these earrings on. The earrings are exclusively fashionable, created by using 14K gold and diamonds spread on them. The golden color of the earrings would surely help you to get lots of confidence while partying with your friends.